Just what are GIFs or JIFs? Our generations “Tomato, tomahto”. Imagine the ability to have a second or two video expressions compressed into a format you can simply send humor practically to anything. Once considered unprofessional, GIFS have become fully accepted, becoming an essential tool of social media and social media marketing giving how they can easily add value to your brand by showing off your personality. Considering how easily eye-catching GIFs can be, it’s quite difficult to argue why this shouldn’t be the case. Another plus is how easily you can get one as GIFs can be gotten through a number of sources ranging from social media to simply your everyday messaging platform. They have become so widely used, the word “GIF” was named the 2012 Oxford Dictionary word of the year. GIFs are always popular, and they’ve become crucial for me because I can’t help avoiding them on Facebook as they rapidly make humor for all of my friends to get into with me. To never run out of the options from my un-ending collection, I ensure to download every hilarious clip whenever I lay my eyes on them. Have the same crave of humor and want to know how to save GIFs from twitter to your I-phone, Android or computer and if you would like to know how to download videos from twitter we also have a guide on that. Then hop in for the ride into the GIF hunting story to fully learn how it’s done. 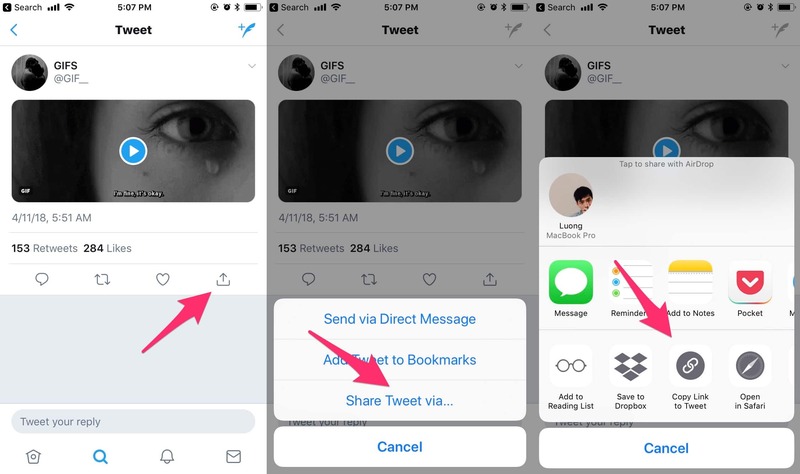 How to Save GIFs from Twitter on iPad and iPhone. Firstly, you would need to download the “GIFwrapped” app on your IOS device. No need getting your emotions rattled just yet, it’s free in the App store. But needs IOS 9 or more in order for it to be downloaded, it can also serve as an iMessage app, which will make your chat time more interesting and fun with GIFs. Step #1. 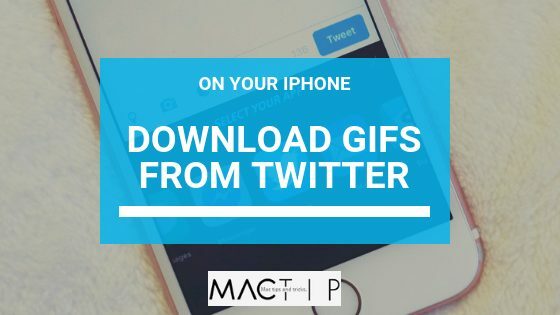 Simply launch your Twitter app on IOS device and locate the GIF you want to download. Step #2. Tap the tiny downward arrow button and click on the “Share Tweet via…” option. Step #4. 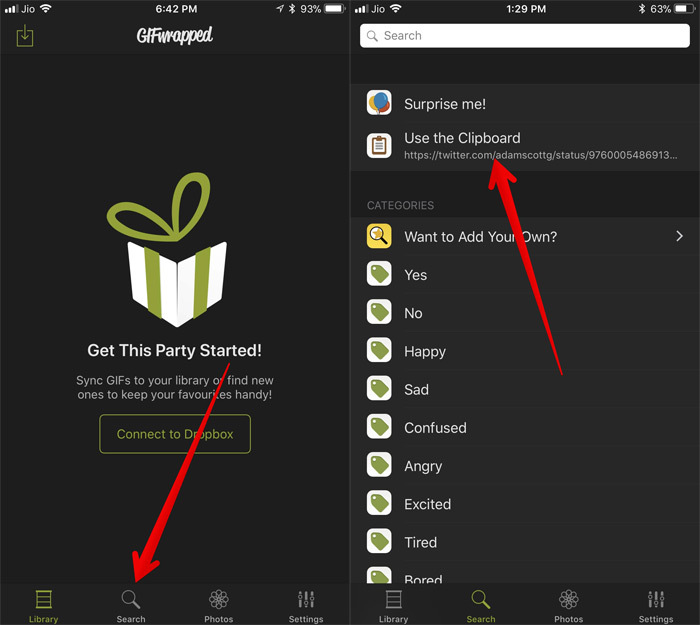 Run the “GIFwrapped” App on IOS device. And now, click the search tab and click on the “Use the Clipboard” option. Step #6. Now, click on the Library tab and select the video you have just saved and tap on the Share button option again. Next, tap on Save to Files, Choose the folder and click on Add to confirm and you are done. How to Save GIFs from Twitter on Your Android. There are lots of different apps that allow you to save GIFs from your Twitter directly into an Android device. One that has convinced me heaps out of the lot is “Tweet2gif”. This app like countless others supports from Android 4.0.3 upwards and is also available for free in the Google Play store. Step #1. Simply open your Twitter app on Android device. The saved GIF can be easily accessed just by simply opening your Google Photos. How to Save GIFs from Twitter on Your Computer. This, on the other hand, is quite more complex than saving GIFs to your handheld. Step #1. Open Your Twitter using any internet browser. Step #2. Locate the GIF of your choice and now tap on the downward arrow. Step #4. Next visit the URL https://ezgif.com/optimize and paste the tweet link in the “Paste Image URL” column then click to Upload. Step #5. The video will then be downloaded into mp4 format. After adjusting the size or frame rate of the video. Tap on the Save button and you are done. Why not, we suggest “Giphy Cam”. 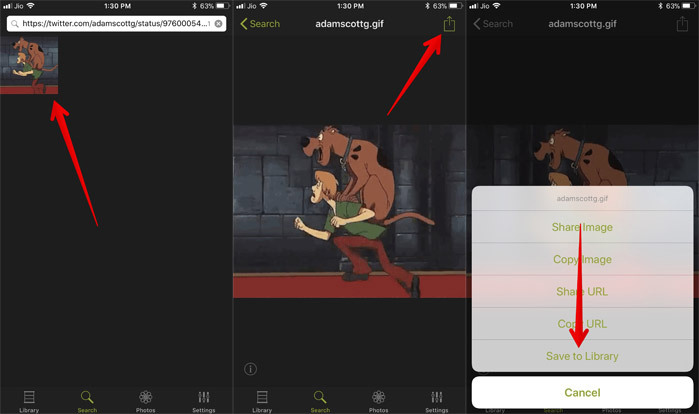 This app which is available for both iPhone and Android, allows you to record a GIF with your phone’s camera. Once recorded, you can add effects, filters or text. That’s pretty much all there is to get into the GIF things what are you waiting for?? Start exploring the limitless boundaries and get entertained.